Forest Park Baptist Church is led by Elders and Deacons. The Elders give oversight to the church while the Deacons serve as chairpersons of the various committees. The pastor is a full-time paid Elder. As with any church, we have a few paid staff, but the real work is done by the many hands of some really wonderful volunteers and ministry leaders who freely use their gifts and talents and resources that God has blessed them with. That is what it means to be part of a church that is healthy, growing and always looking for new ways we can meet some of the needs in our community. There is always work to be done and people needed to help out. How has the Lord equipped you? What are some of the passions and talents that He has given you? Talk to the elders to figure out how your gifting can fit into the church body. Jesus said, “The harvest is plentiful but the workers are few. Ask the Lord of the harvest, therefore, to send out workers into His harvest field” (Matthew 9:37-38). Let’s go out into the fields and to the work! Dave has served as pastor of Forest Park Baptist Church since 1986. He earned an M.Div. degree (1984) and a Th.M degree (1985) from Trinity Evangelical Divinity School. His focus is calling men and women into a deeper walk with Jesus Christ through preaching and leading the church. Dave and Angie have been married since 1982 and have two sons, Drew and Matt. Sean has served as an elder for Forest Park Baptist Church since 2010. He also teaches an Adult Bible Study class and has been attending the church since 2002. His passion is to serve God and the church according to the template shown in 1 Timothy 3. Sean and Andrea have been married since 1994 and have four children, Brandon, Simone, Justin, and Troy. 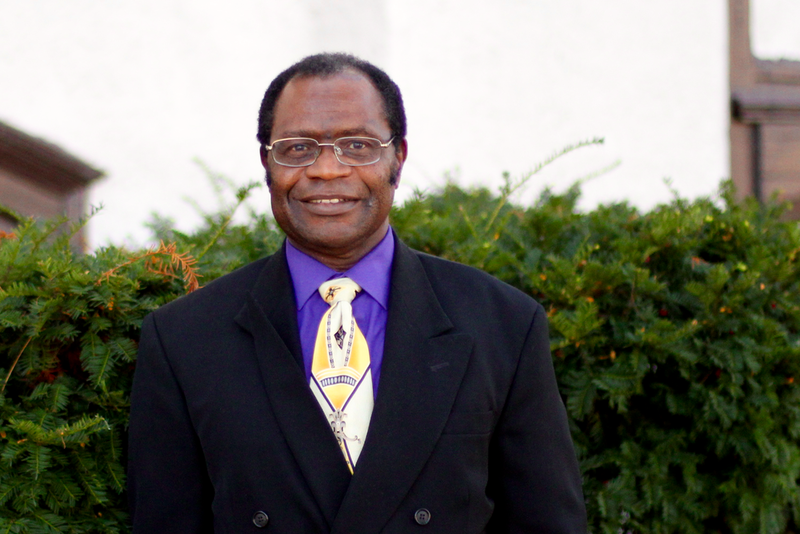 Akin has been the Deacon for Building and Grounds since 2011 and the Head of Ushers and Greeters since 2013. He’s been attending Forest Park Baptist Church since 1998. He has worked as a real estate broker since 2003. Prior to that, he earned a Ph.D degree (1985) in Public Administration from University of the Philippines, Manila, and served as director for Urban Policy Studies at the University of the City of Manila. His passion is to keep things running and give back to the church community. Akin and Susan have been married since 1983 and have two sons, Dele and Jide. Kevin has served as Deacon of Missions since 2016. He and his wife, Joanne, began attending Forest Park Baptist Church in 2014, after settling in Oak Park following ten years of missionary service in Spain. Kevin has a Master of Divinity degree from Biblical Theological Seminary (Hatfield, PA). He also serves as the high school Sunday school teacher and serves in other ways as needed. Kevin and Joanne have been married since 1988 and have three grown daughters: Elaina, Elizabeth, and Emily. Connie Leeper has worked part-time as the church secretary since September 2010, and she has attended Forest Park Baptist Church for over 30 years. She retired from the Moody Bible Institute in Chicago after 38 years of service, ending as the Administrative Assistant to the Provost. Her passion is to see the church grow and have a meaningful ministry in the community.